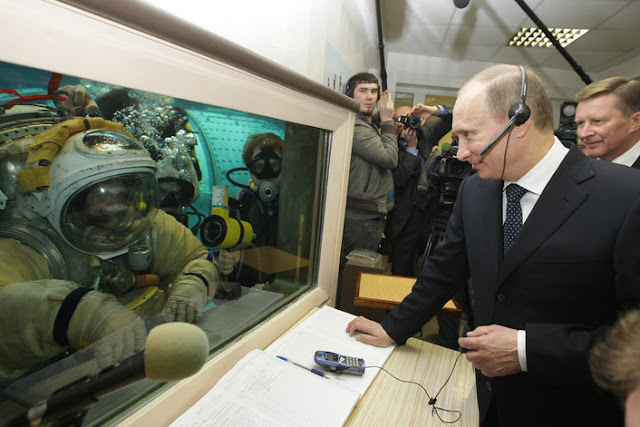 Russian has undertaken a number of steps to increase its military presence in the region. Russia has warned Ukraine that it may take measures to protect Russian ships crossing the Sea of Azov should Kyiv stop or seize any. Kremlin spokesman Dmitry Peskov told reporters on a conference call on November 16 that Russia would take measures to protect Russian businesses, sailors, or other individuals if necessary. He did not give any further details, saying only that "the situation is being closely monitored." He said any actions taken would be in line with the international maritime law. On November 15, Ukrainian border security spokesman Oleh Slobodyan said that Ukrainian authorities had seized or imposed restrictions on 15 ships heading for Crimean ports. It was not clear how many of those ships were Russian. He claimed the seized ships were illegally operating in Ukrainian waters. Peskov said that Russian border guards have also been stopping and inspecting Ukrainian vessels in the Sea of Azov, but he claimed such inspections are "permitted" under international law and are taking place "in strict compliance with the law." 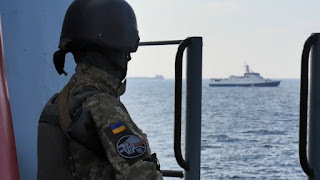 Since 2014, when Russia illegally annexed the Ukrainian peninsula, more than 940 foreign ships have arrived at Crimean ports, the Ukrainian spokesman said. The Sea of Azov borders Russia, Ukraine, and Crimea -- and this year has become a key flashpoint between the two sides. 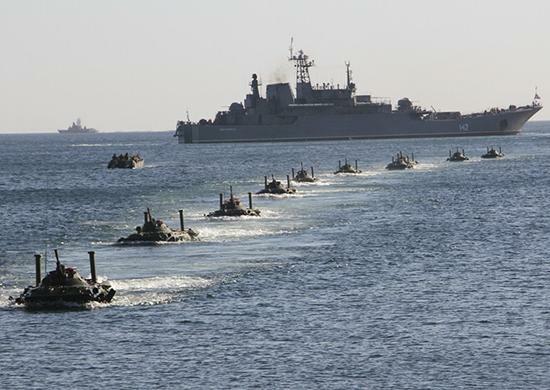 Russian amphibious ships crossing the sea of Azov / Press Service/ Russian Defense. A war between Ukraine government troops and Russia-backed separatists still simmers in Ukraine's east. Russia has control over access to the Sea of Azov as it controls the Kerch Strait between Crimea and Russia. Kyiv accuses Moscow of harassing ships heading for ports in Ukraine, such as Mariupol or Berdyansk. Both sides have recently increased their military presence in the Azov region. Russian lawmaker Frants Klintsevich, who sits on the defense committee in the upper house of parliament, said on November 16 that Russia could "cut off" the Sea of Azov “in minutes” in response to the detention of Russian ships. “It doesn’t matter if we are talking about the detention of Russian ships or ships of foreign states," he said. "By such actions, Ukraine itself really breaks the agreement on the Sea of Azov, from which only it will suffer." 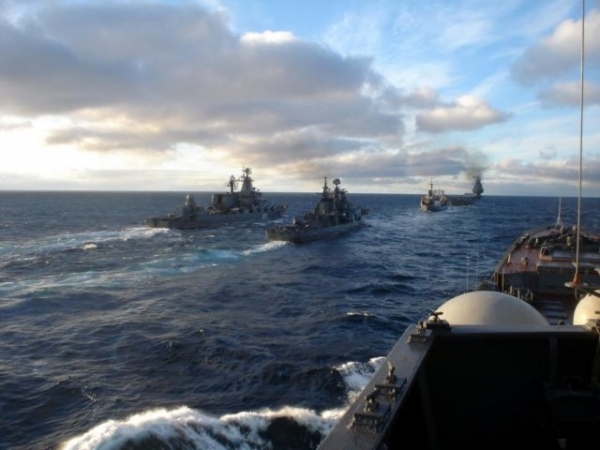 Russian Deputy Foreign Minister Grigory Karasin earlier claimed that Kyiv, which plans to create a naval base in Berdyansk, is fueling tensions in the Sea of Azov.